This quiz provides a overview of African Geography. 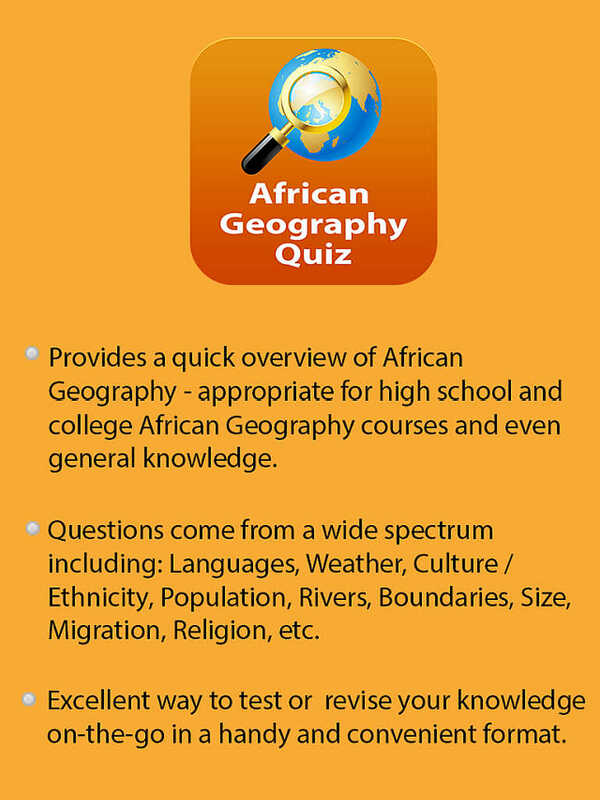 The questions are appropriate for high school and college African Geography courses and even general knowledge. You can choose to answer 10, 25 or 500 questions. The questions will be randomized so that each time you take the quiz (for example 25 questions) you will get a different set of questions. At the end of the quiz, you will be shown the total number you got correct and your percentage score.